It is easy to love your skin when it is looking bright and smooth, and you are getting compliments. Skin problems quite frankly are a bother! Oily skin, dry skin, hormonal breakouts and blackheads = complexion woes. At SkinRevision, we provide a range of facials to tackle these and more. We begin with a free skin analysis to personalise facial treatments to suit your skin. We are a cosmetic medicine clinic, so we offer facials from basic through to advanced medical facials. We always start with an analysis and a plan to let you know what will really help your skin. We have a range of treatments that vary from therapy level, into our 101 facials (costing only $85), extraction facials ($110) through to the PRP facial (Vampire Facials) and laser facials. We really know how to treat your skin. If you are looking to settle your acne quickly, an acne extraction facial is a useful treatment. An extraction facial treats blackheads, whiteheads, enlarged pores and resolves active acne lesions including pimples. If followed up with correct skin care such as prescription vitamin A and exfoliants it can help prevent future flare-ups. Even people who have good skin can suffer the odd area of congestion, hormonal or holiday breakouts. Extraction facials can form part of regular skin maintenance. Post your holidays, when you might have let your skin care routine slide or applying sunscreen regularly. After a period of stress, which always seems to cause breakouts. Are all extraction facials the same? We tailor your extraction facial according to your concerns, and that is why we offer a free assessment at the outset. 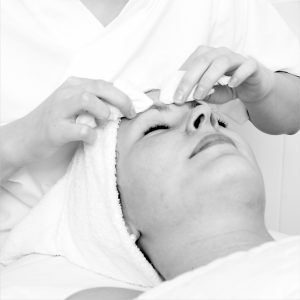 We pride ourselves on providing a thorough extraction facial treatment. We are aiming to be the best in Brisbane. What can an acne extraction facial treat? General congestion, especially around the t-zone. Active acne depending on the severity can be helped. We offer a range of facial treatments to help settle all grades of acne. Depending on the severity there are options. The NEWEST is Kleresca Acne Facial which is a medical grade treatment which can resolve even moderate and severe acne or cystic acne without antibiotics or trip to Dermatologist for prescriptions. If your acne is mild, regular acne extraction facials combined with skincare should settle your complexion woes. 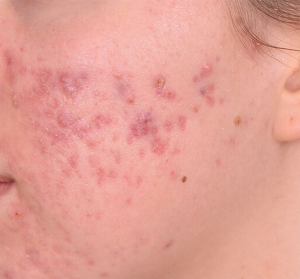 For more severe acne you will require higher grade facial treatments. Acne extraction facials are especially useful for blackhead removal but once the acne lesion is acutely inflamed attempting extraction can increase the risk of scarring. LED light facials, microdermabrasion and peels are also very useful acne facial treatments. Microdermabrasion and peels help decrease congestion and help loosen the pore contents making extraction such as blackhead removal much more comfortable. eMatrix radio-frequency facial, on the other hand, is perfect for clearing acne scarring. 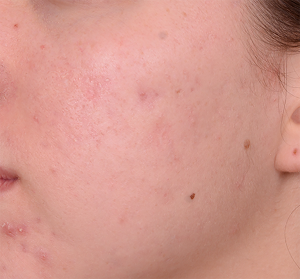 Can acne extraction facial treat cystic acne? Although an extraction facial can help settle some aspects of moderate to severe acne it will not clear them. If you are looking for a more natural way to clear cystic acne, we would advise Kleresca acne facial. At SkinRevision we have skilled dermal therapists who specialise in the treatment of acne. Our team can perform extraction facials to extract comedones and clogged pores safely. We also sell a take-home acne extraction tool retailing for $15, so you can safely assist with home care. What to expect during an extraction facial. We will first assess your skin to understand what the primary underlying condition is and then we will use a variety of tools. Gently steaming your skin with hot towels to loosen open comedones and clogged pores. With predominant congestion or enlarged pores adding surface exfoliation with a peel or spot microdermabrasion improves the treatment outcome. Blackhead removal is more comfortable with a blackhead removal tool. Known as a comedone extractor is designed to help extract blackheads and whiteheads without causing trauma to the skin. Blackhead removal is an important treatment for many people. Our blackhead extraction or acne extraction facials target non-inflammatory comedones. Blackheads (open comedones) and whiteheads (closed comedones) are both a form of acne. Treatment with extractions is necessary to help settle the congestion and complexion woes. Blackheads form when the oil gland becomes plugged with skin cells allowing oil to accumulate. The black appearance is because of exposure to air. Blackhead most often appears on the face, especially nose, chin and cheeks, but can also occur on the chest, back, arms, neck, in fact anywhere on the body. Blackheads and whiteheads can develop in anyone. However, there is a genetic risk if you have oily skin or inherited acne. Blackhead removal through acne extraction facials forms a standard part of our therapist’s work. Call us on 3350 5447 to book a blackhead extraction facial or email and queries. Facial 101 starts with a skin analysis. Our therapist then customises your skin treatment. The vital first step is what concerns you. We build your facial based around this. Our 101 Facial includes cleansing, massage, exfoliation, mask, sonography with antioxidant and moisture infusion. No matter the steps this facial is $85. Fantastic pick me up to give your skin health a boost. The real value in this facial is the analysis. We have many tools to treat a wide range of skin concerns. We specialise in extraction facials as well as advanced medical facials. 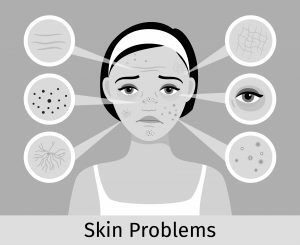 Common concerns include pimples, large pores, blackheads, pigmentation, broken capillaries, fine lines & wrinkles, dry skin, dull skin, irritation, inflammation, dark circles under eyes, wrinkles and sagging. Whatever your concern, our team can come up with solutions to help your skin look better. Deep pore cleansing facial, with steam and extractions. If you are concerned with acne, blackheads enlarged pores, this treatment could be for you. Combinations of microdermabrasion coupled with peels give supercharged results. These treatments are designed to impact on several skin concerns. At the initial consultation our Dermal Therapist will be able to recommend the best approach, number of treatments required. All 165, you can buy packages to save money and mix and match treatment. Our skin wellness needs change from season to season and year to year. Especially in the harsh Brisbane summer the extra sweating can cause breakouts. The PRP or Vampire facial is a medical treatment that uses your own platelet rich plasma extracted and centrifuged, then injected back into your skin. 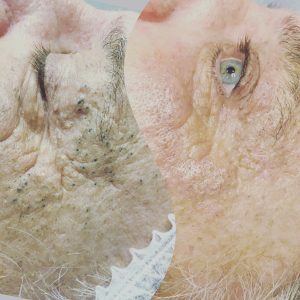 We use the Vital 2 injector gun which allows accurate injecting into your dermal layer, where the growth factors from the platelets will have the most effect. Call 3350 5447 to book a free assessment with our Doctor or Nurse for PRP facial treatment. Want to look your best for a special occasion? The sublime skin tightening facial provides temporary lifting and tightening. Suitable for skin types 1 to 4. The limelight is used for diffuse redness and broken capillaries. IPL fades pigmentation, freckles, age spots and gives a more even skin tone.